Your blogs is your Image, your Identity and Brand in the web world to put forth your Ideas, Views, opinions on various topics, to promote your services or products and in general to gain marketable popularity. In short, with careful honing your blog can be the most valuable and effective marketing tool. However, this requires you to supercharge each of your blog posts with Original Quality Content thats well Researched, Creative and of Value to people. 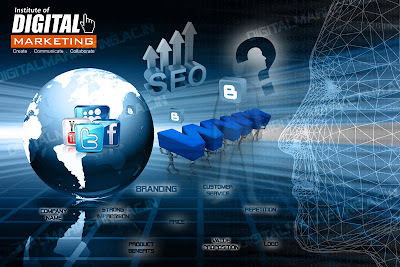 Then combining the Quality article with acceptable and proven SEO techniques in order to achieve high ranking in search engines. Increasing your page rank value can be easily translated as increasing your blog traffic and a chance to convert more random visitors to regular readers. One should be careful and yet sensitive to online Visitor such that he is pulled into Reading your blog content and not only that but ensuring that he comes back and becomes our Brand ambassador by sharing and recommending our Article/content with his/her Network. Here, you can take a look at some essential pointers in this regard. making sure that our post turns up during a search for which our content might be the best possible Option, However, for this you have to think like your reader be in his shoes, into his world. Analyze your post and relate to the most specific keywords that the readers might type in when curious while searching. 2. Don’t Over-Do post with keywords: One of the worst thing one can do for your post. popularly known as Virtual-suicide. Just have relevant three or four keywords. Of these one or two should be the main keyword and the other two should be subordinate keywords. This way the post remains effective in snagging search engine page ranks without seeming cluttered to readers, ensuring permanent readership. 3. Follow keyword rank trends: If you include three keywords in your blog post, it would be a complete waste in case these keywords collectively trend to about 10-15 searches per month. That is a very low keyword ranking trend statistics. Makes sure to follow global keyword search trends, judge the statistics and frequency of a particular phrase search before you make a decision of enhancing your post with the said keyword. 4. Build strong inbound links: Find out popular websites that relate the most to the content of your blog post. Reach out to them via comments or even guest posting to get an inbound link back to your blog post. This way you can cash in on their page traffic to highlight your post. 5. Page optimization- a must: If you want to popularize your blog post, you have to think in an all around way to get the maximum traffic to it. Page optimization techniques can get you better page ranking in popular search engines without doubt. Start by including search specific keywords in the title tags as well the h1, h2 tags. Meta tagging your post is a great idea to give a summarized preview about your post to the readers in the search engine list. You can also include Wordpress and other SEO plugins in your blog post. 6. Social networking websites marketing for the blog post: As long as you do not properly market your blog post, you cannot expect optimum results from that particular post. Fortunately, with the boom in the progress of various social networking websites, you can cash in on their increasing popularity. Just promote your blog post on the various social networking sites and chances are you will get a heftier response than what you were used to previously. Discus your blog post on these sites and you can even arouse interest in your blog post with guest comment threads as well as chat forums in these sites. Include social sharing buttons and links in your blog post. Tweet or comment in Facebook about new posts as well as add links to this blog post with related posts in the future. A picture speaks Louder and Mighter than the words so having an Unique Image and relevant Graphical info will take you Longer and Deeper in the WWW. Videos, Images or Graphics if being used of others then mentioning the source will always help and give confidence of your Ingenuity to the Visitor projecting you of well Researched writer/Expert. All in all you have to understand that supercharging your blog post by introducing SEO elements in it is a healthy and profitable idea. More importantly, it is a slow process which requires concentration and patience. You have to keep your head and decide on the steps that will be the most logical in this direction. Some of these steps you would be needed to take right at the beginning of your blog’s designing. While for some of the others you will need to build your profile in the various social networking sites. Just remember all these steps collectively show incredible results. lastly i recommend Supercharging your blog post with SEO for high ranking coupled with the Quality Innovative and Creative Posts that make a difference to the World.